We at Syndicated love movies. We are also passionate about the tradition of cooking with high quality and seasonal ingredients. Full disclosure–we also love to drink. We found that we’re often doing these three things at the same time. So we dreamed up of a place where you can watch a movie, while eating a delicious meal and enjoying a drink. We want to share that dream with you. 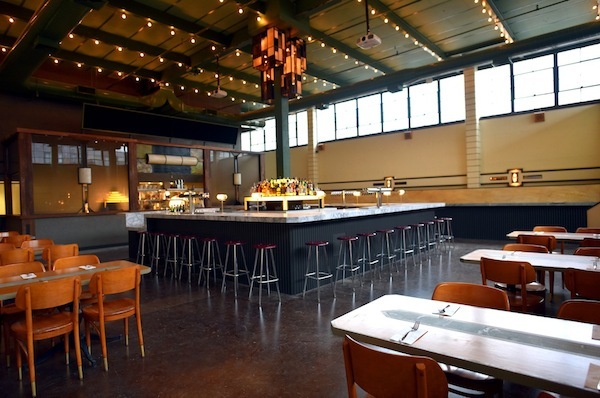 Our space features a large dining area with a diverse menu of small and large plates for snacking or dining. Our 30 seat bar is fully stocked and features a long list of whiskeys and craft beers along with a collection of our signature cocktails. At the bar, two massive projectors screen all of your favorite films, shows and sporting events for your viewing pleasure. 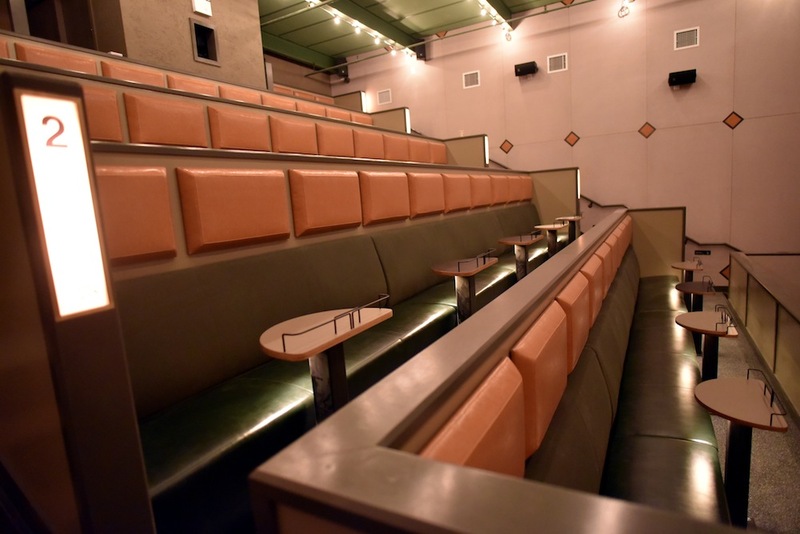 We also feature two- three expertly-curated films a night in our intimate but spacious 60-seat theater. We offer a utensil-free menu during all of our screenings so you can order, eat and drink as you watch- all from the comfort of your seat! So come join us for a movie, a delicious meal, or a drink- or all three!